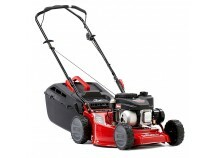 Rover Lawnmowers are the ideal choice for the professional user. 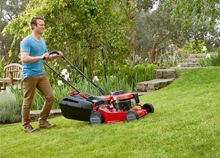 You can count on sustained mowing power with Rover's Duracut and ProCut range of lawnmowers, which are ideal for maintaining large areas of turf, even in damp conditions. These mowers have premium cutting decks, engineered to ensure an unsurpassed quality of cut by incorporating a disk to enable the high lift swing back blades to cut grass whilst providing crankshaft protection to the Loncin engines. 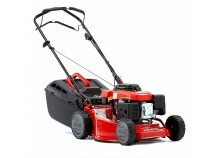 All Rover lawnmowers are supplied with a mulch system as standard, offering choice to collect or mulch grass cuttings. 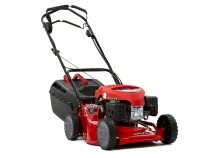 The durable grass box is large enough to handle large areas of grass efficiently.